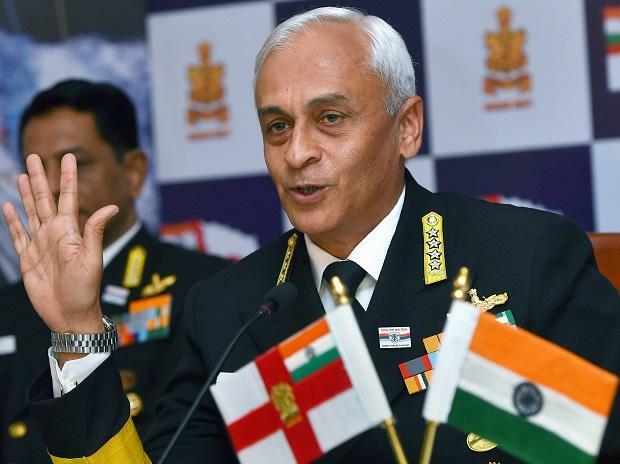 Weeks after the Pulwama attack, Navy Chief Admiral Sunil Lanba on Tuesday warned that there are reports about terrorists being trained to carry out operations through the sea. The 26/11 attack was carried out by 10 sea-borne terrorists of the Lashkar-e-Taiba, who hijacked an Indian fishing trawler to reach Mumbai and unleash mayhem. On February 14, a suicide bomber of the Pakistan-based Jaish-e-Mohammed (JeM) rammed an explosive-laden vehicle into a bus in Jammu and Kashmir's Pulwama district, killing 40 Central Reserve Police Force (CRPF) personnel. "We have seen how quickly terror groups evolve across the globe. A particular brand of terror can well become a global problem in near future," Lanba warned. The Indian security establishment is continuously working to address this menace, he said, noting that "it is imperative that the global community works in concert to contain and eliminate terrorism in all its forms". Lanba also emphasised the importance of the Indo-Pacific Region. "There is a renewed focus of the world on the seas. This is principally due to the geoeconomic and geopolitical significance of the maritime domain." India is a martime nation and, recently, there has been increasing attention to harness potential of the maritime domain for the country's growth and regional development, he said. This event seeks to "identify and conceptualise challenges and opportunities that lie in the waters, and evolve strategy for mutual benefits of all stakeholders," Lanba said. "It is widely accepted that (the) Indo-Pacific Region has been growing in geopolitical significance in recent years due to economic, political and other reasons," he said. Lanba underlined the region's ancient and historical link with India and its significance for the country.